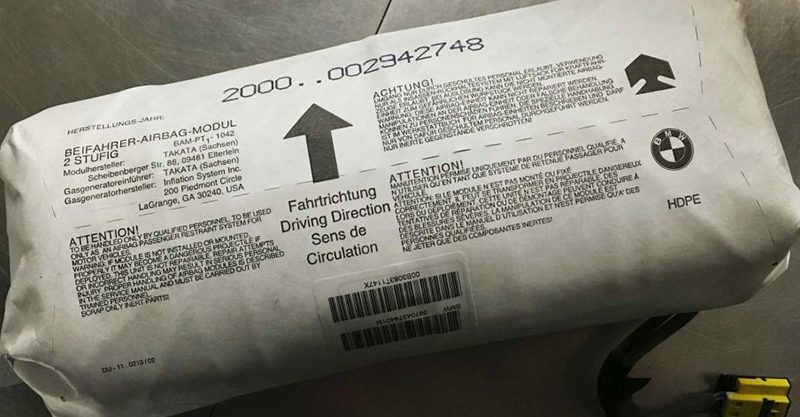 Killer airbag recall: Is your car on the list of 50 fitted with these airbags? The safety recall on Takata airbags – which are onboard around 50 different car models – is being badly managed, with long waits to switch bags out and some manufacturers even replacing the dangerous airbags with identical – and similarly hazardous airbags, a new Choice probe reports. By volatile, they mean the airbag gas propellant may explode the metal canister it’s housed in, creating dangerous metal projectiles from the resulting pieces of the can. It’s these propellant can projectiles that are responsible for 180 horrific injuries – and a dozen deaths. The very thing that you hope will save you in the event of a collision – an airbag – may actually be the thing that harms you most, yet there is very little awareness of this widespread and incredibly serious problem. Choice say that 1.4 million Australian cars are still fitted with defective – life threatening – airbags. Seriously, if this is your car, do something about it quick smart – these things can cause life-long injuries or even death. Choice also revealed even cars that have had their airbags replaced are still at risk, because some unscrupulous makers have just put the very same kind of dangerous airbags back into cars. Toyota confirmed to Choice that they had been replacing faulty Takata airbags with the same hazardous airbags – they are attempting to rectify this at the moment. Other car manufacturers, namely Nissan, Honda and Mitsubishi, did not respond to the consumer advocacy site’s queries on like-for-dangerous-like airbag replacements. Chrysler, Dodge and Jeep said they did not replace the dangerous airbags for the same one. Suffice to say that if you have had the recalled airbags replaced, it would be prudent to investigate exactly which type of airbag they were replaced with. Here’s some more information from the ACCC on what to do if you are impacted by this recall. “A number of car recalls have been announced in Australia for Takata front passenger and driver airbags. There have been injuries and deaths from faulty Takata airbags. A full listing of the current recalls is available below,” the ACC advise.